During June/July, We Hear You will be featuring a special three-part series exploring critical reflection – ‘Uncovering the layers of reflective practice’. In the final instalment, we wrap up the series by considering the way self-reflection informs continuous improvement and the practical strategies for creating a service culture that supports it. Effective and authentic quality improvement is informed by critical reflection on practice, shaped by meaningful engagement with families and communities, and is embedded across the service. The National Quality Standard (NQS) identifies “ongoing self-review that results in informed judgment about performance is fundamental to an effective cycle of improvement” (Guide to the National Quality Standard, p. 178). Essential to this self-review is the Quality Improvement Plan (QIP), which should be a living document, leading up to assessment and rating and beyond. The QIP provides an opportunity to share how a service engages in deep-level reflection as part of a quality assurance process that supports the realisation of its vision as well as the objectives of the National Quality Framework. Creating a culture of continuous improvement involves developing and sharing reflective practice, gaining different perspectives, creating a respectful culture and seeking educators, families and children’s ideas. This culture is reflected in regular engagement with quality improvement to support accountability and to communicate what services are achieving and why. Catherine Lee, the Director and Nominated Supervisor at The Point Preschool, shares her thoughts on critical reflection. Standard 7.2 of the NQS requires services to make a commitment to continuous improvement. When we consider what this looks like in practice, it means creating regular touch points with the QIP, opportunities to regularly critically reflect on progress, and outcomes and opportunities for deeper collaboration. This level of reflective practice ensures the planning process informs decision making and provides accountability and direction, while being equitable and reflective of the diverse perspectives of all stakeholders. It also provides a springboard to celebrate achievements and communicate to all stakeholders the reasoning and purpose behind what is happening at the service. regular surveys or questionnaires for families and staff about the service. The NQS promotes an outcomes focused approach. As such, many of the elements and standards require education and care professionals to critically reflect on the decisions being made at a service level. This is an opportunity to consider questions of social justice, fairness and equity, cultural competence, acceptance and honouring diversity and inclusion, and to think through whether the ideals expressed in the service philosophy are being realised in day–to-day experiences. * notes or drawings detailing children’s ideas, suggestions and feedback. Education and care services should consider a holistic approach when planning for quality improvement, creating cohesion and direction by connecting all service plans together, including performance, inclusion and reconciliation, strategic and business plans. Opportunities arise here for adopting a more shared or distributed approach to leadership. For example, consider the role the educational leader plays in developing individual development plans that are in place to support performance reviews. How is continuous improvement included in the induction process? How and when is quality improvement discussed and documented? How does the self-assessment process work and who contributes to the strengths of service practice? How is the leadership and responsibility for QIP goals distributed? We hope that we have challenged your thinking, broadened your practice and helped you to develop greater confidence in making professional judgements and articulating the reasons behind those decisions. It is important to recognise confidence emerges from drawing on professional standards, best practice, contemporary thinking and research. Wherever you are at with your reflective practice journey, we challenge you to go deeper and consider the way critical reflection fits in with the professional learning community within your service context. In the second instalment, we consider teaching, learning and how we reflect within a holistic approach. Critical reflection involves educators analysing their own practices – thinking about how their language, their level of involvement in play, their support of children to communicate and resolve conflict and how the organisation and environment impacts learning, relationships and interactions. 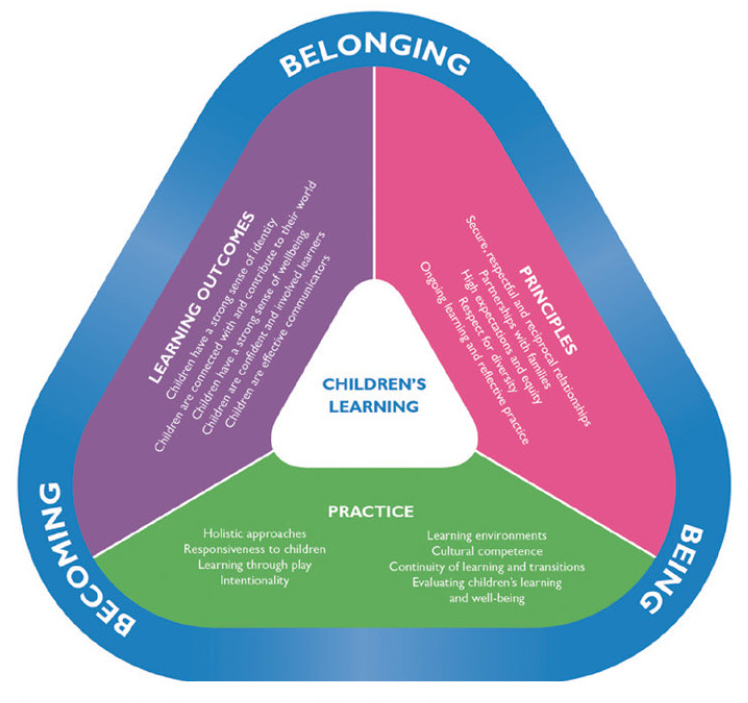 These insights should be used to inform the development of plans for children’s learning and development, both as individuals and groups of children. The focus should be on learning and outcomes rather than activities and resources. Being a reflective practitioner means embracing multiple perspectives, your own unique approach and process as well as considering what might need to change. This process of reflecting on actions, intentionality, programs and children’s learning is one that educators engage in every day. What are my understandings of each child? What theories, philosophies and understandings shape and assist my work? Are there other theories or knowledge that could help me to understand better what I have experienced? It is important to reflect on the learning across all aspects of the program including routines, transitions, planned and spontaneous play and leisure experiences. Children’s learning is constant and happening everywhere and it is up to educators to reflect on how time, resources and access to learning environments is facilitating sustained shared thinking. Are planned experiences reflective of children’s knowledge, interests and identity? Are experiences, environments and interactions supporting children’s learning and development across the learning outcomes? Children and families are important participants in the reflection process, from setting goals to analysing and sharing the learning from the program and informing the direction of group and individual learning. Community expectations and context are relevant considerations to inform curriculum decision making. How do we reflect and what should be recorded? While there is no legislative requirement for educators’ reflections to be documented, it is a useful way for services to track and show how critical reflection influences their practice and contributes to continuous improvement and the cycle of planning. The emphasis is on the process of critical reflection, not the product, so there is evidence the program is informed by these reflections. Children can be active participants in critical reflection, and in documenting their learning progress. Documenting this reflection can be completed in a variety of ways – in the program, in a reflective journal or diary, or in the minutes of team meetings. establishing effective systems across the service. What is this child learning? What does this child know or understand? What level is the learning? For example, emerging, beginning, practicing, consolidating, exploratory or mastery. What learning dispositions are evident? For example, persistence, confidence, resourcefulness, curiosity or problem solving. In terms of assessment and rating, a crucial factor in assessing quality practice relates to educators’ understandings of the process and the purpose of critical reflection as opposed to gathering evidence. sight documentation of decisions, how and why they came about, information in policies, parent information and staff induction that explains the process of how reflection guides the program. Deconstructing practice – What happens? Confronting practice – What works well? What is challenging? Theorising about why – What literature/research/experience helps you to understand this? Thinking otherwise – What do you need to change? What is the first step? These questions may prompt a robust discussion on what is working and how well practice aligns with philosophy and ethics, as well as creating a positive culture and professional learning community. Cartmel, J. – ‘Techniques for Facilitating Reflection’, Reflections (43): 12-13. Stonehouse, A. – ‘Assessing children’s learning—work in progress! (Part 1)’, NQS PLP eNewsletter (73). In the first instalment, we explore meaningful self-reflection, what this looks like in practice and the importance of the process not the product. We know being reflective educators allows for greater self-awareness, drives continuous improvement, improved outcomes for children and families, as well as being a feature of high quality education and care. We also acknowledge a culture of learning, reflection and continuous improvement are driven by effective leaders. A culture of learning is fostered in an organisation that empowers educators, promotes openness and trust, and reflects a space where people feel heard and valued. What questions do I have about my work? What am I challenged by? What am I confronted by? Another common question is ‘what do I need to record or document?’ When it comes to reflective practice, the most important aspect is that it is about ‘process not product’. It is about being able to articulate why and how you made decisions and changes. Documenting key decisions may occur in a variety of ways – in the program, in a reflective journal or diary, or in minutes of team meetings. Documenting in this way has the potential to promote in educators a sense of responsibility and accountability for their self-reflection and professional development. At this level, you may prefer to keep your reflections private. Effective communication skills are crucial to creating a positive culture of learning. As part of the self-reflection process, you may identify further learning and professional development is needed. This could be added to your individual development plans. However, not all learning needs to be formal, such as attending a workshop. There may be opportunities to build on people’s strengths through mentoring, sharing professional journals or by accessing learning online. What opportunities are available for educators to reflect on their practice? What opportunities are created for educators to discuss and identify achievements, issues, challenges? 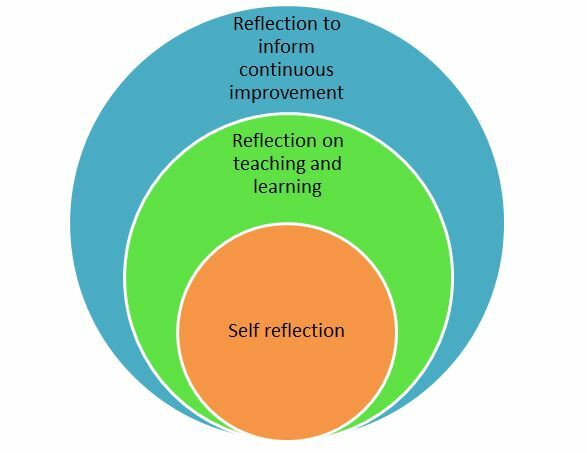 How does self-reflection inform individual development plans? How will the approved learning frameworks guide your journey in 2017? What is your personal and service journey with the approved learning frameworks? How do they inform your practice, programs and interactions? This month on We Hear You, we reflect on the frameworks that will guide you and your service through the coming year. At this time of year, we are all thinking forward – planning for the coming months, developing programs and experiences for children and ways to collaborate with families and communities. It is also an opportunity to take a moment to look back and reflect on your personal and service journey with the approved learning frameworks. 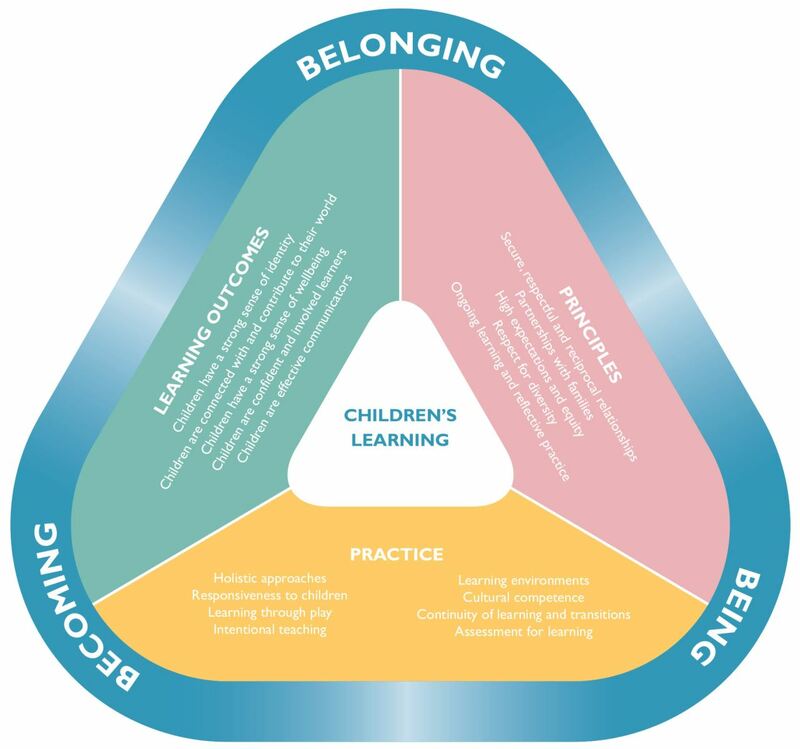 When Belonging, Being and Becoming: The Early Years Learning Framework and My Time, Our Place: Framework for School Age Care were first launched in 2009 and 2011 respectively, the intent was to guide educator practice, critical reflection, decision making and scaffold understanding, much like the way the framework for a building provides the strength and integrity of the structure. The frameworks are built on a foundation of contemporary research that identifies the benefits of high quality education in the early years, with play and leisure based programs most suited to the way young children learn. One of our responsibilities under professional standards such as Early Childhood Australia’s Code of Ethics is the need for education and care professionals to be advocates for young children within the broader community. It may be timely to consider the ways your service is collaborating with families and communities to share the research and contemporary thinking outlined in the approved learning frameworks. Both frameworks include many layers of rich and meaningful ideas, and while most educators and leaders are familiar with the five learning outcomes, the principles and practices that underpin these should continually shape our practice, programs, policies and interactions. practices that support educators to implement quality programs and identify broad lifelong outcomes for children. Taking the time to reflect on the way you are engaging with all aspects of the frameworks could also help you explore how they contribute to quality improvement. Author ACECQAPosted on February 14, 2017 August 10, 2018 Categories Early Years Learning Framework, My Time, Our PlaceLeave a comment on How will the approved learning frameworks guide your journey in 2017? Practices can sometimes unintentionally limit children’s inclusion in education and care services. If vulnerable children and their families are not considered and supported, it can result in children not enrolling in a service. Inclusion is broader than considering children with additional needs. It’s also about being inclusive of different family compositions as well as refugee, Culturally and Linguistically Diverse (CALD) and Aboriginal and Torres Strait Islander children and families. Inclusive practice is acknowledging, respecting and valuing diversity and recognising the opportunities to learn from each other through meaningful participation. The Early Years Learning Framework and the Framework for School Age Care assist educators in providing opportunities for all children through a strength-based approach focusing on all children’s strengths, skills and capabilities and promoting each child’s learning and development. Promoting inclusive programs and practices requires a commitment to continuous improvement and the confidence to ensure all children’s experiences are recognised. Quality Improvement Plans (QIP) and Inclusion Improvement Plans (IIP) are useful planning tools involving self-assessment and goal setting for continuous improvement. The IIP is a valuable self-assessment tool for reflecting on your service being ‘inclusion ready’. Both can inform each other and reduce duplication. KU Children’s Services, as the National Inclusion Support Subsidy Provider (NISSP), has developed some helpful resources that focus on critical reflection, problem solving and planning. The videos and tip sheets are designed to support educators to be proactive and take ownership of both the QIP and IIP. Is the service welcoming, accessible and responsive to the diverse range of children and families in the community? What links are established and maintained to understand community needs and access resources? Are educators intentional in scaffolding learning in group play? How are children’s peers involved in inclusion? Are physical and human resources adapted and used flexibly to support every child (regardless of abilities, needs and interests) to achieve maximum participation in all routines, transitions and learning opportunities? How are educators supporting children’s social and functioning skills with a particular focus on supporting transitions? How is the orientation process adapted according to the needs of each child and family? Does the service know and acknowledge the traditional owners of the land? Has the service considered developing a Reconciliation Action Plan (RAP)? 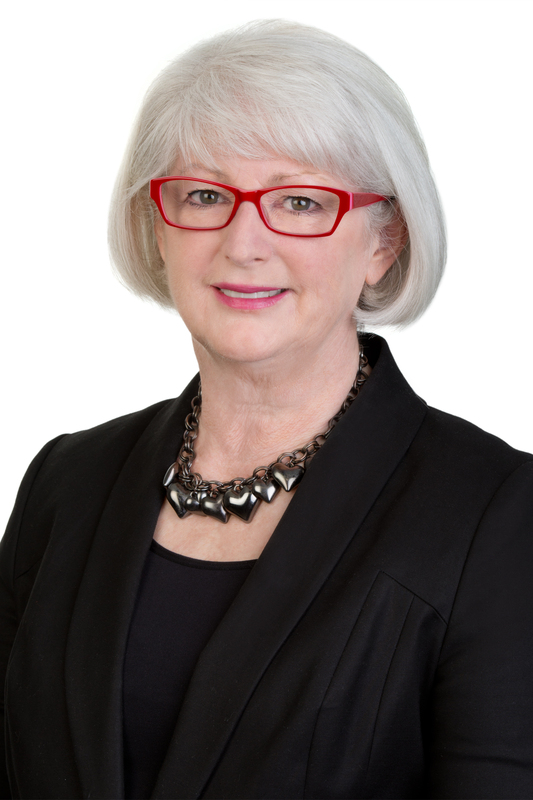 This month ACECQA’s National Education Leader, Rhonda Livingstone, promotes sustainability and looks at why it’s important for children to explore values and develop an appreciation of the environment. Living sustainably means living within the capacity of the natural environment to support life and ensuring our current lifestyle has minimal impact on generations to come. Sustainable practices relate not only to the natural environment, but also our society and culture, including aspects such as consumerism and community well-being. As the need for greater sustainability becomes more apparent globally, so does the importance of embedding sustainability in children’s programs. Through hands-on experiences and relevant educator pedagogies, children can explore and learn about their local contexts and environmental issues. They can develop the creativity and critical thinking skills necessary to make informed decisions for change, improving the quality of their lives, and those of future generations. Practicing sustainability empowers children to construct knowledge, explore values and develop an appreciation of the environment and its relationship to their worlds. This lays the foundations for an environmentally responsible adulthood. Sue Elliott, Senior Lecturer from the University of New England, NSW, says ‘early childhood education for sustainability is a transformative and empowering process actively engaged in by children, families and educators who share an ecocentric worldview’ (Elliott, 2014, p.15). An ecocentric worldview is one that embraces all the Earth’s life forms and physical elements, not just humans. When there is an alignment of philosophies, ethics and beliefs in a service, sustainability becomes the norm and has a positive impact on children’s learning and the wider community. The Early Years Learning Framework, the Framework for School Age Care and the National Quality Standard promote embedding sustainability in all daily routines and practices. Services often find elements relating to sustainability under Quality Area 3 challenging to meet. Educators typically focus on sustainable practices and activities for children in the outdoor environment. However, it is important to embed sustainability more broadly in all aspects of service operations. A holistic approach to sustainability is essential, acknowledging the natural, social, political and economic dimensions as defined by UNESCO (2010). What practical first step or action priority could we engage in that best reflects the interests and/or strengths of this community? How will we decide on the most relevant and achievable action? Which stakeholders in our service may have an interest in this action priority? What strategies do we use to foster children’s capacity to value and respect the broader environment and appreciate the interdependence between people, plants, animals and the land? How are children involved in the environmentally sustainable practices already existing at the service and in the community? What connections have we made within the local indigenous community that support a deeper connection to the land? How will we maintain the inspiration and momentum for the journey of change? Nadine McCrea (2015, p. 64), Associate Professor at University of New England, suggests the following sustainable practices as starting points. What other possibilities might be relevant to your education and care service? Davis, J. (Ed.) (2015). Young children and the environment: Early education for sustainability (2nd edn. ), Port Melbourne, Victoria: Cambridge University Press. Elliott, S. (2014). Sustainability and the Early Years Learning Framework. Mt Victoria, NSW: Pademelon Press. McCrea, N. (2015). Leading and management: Early childhood settings – Inspiring people, places and practices. Port Melbourne, Victoria: Cambridge University Press. NSW ECEEN (2012). 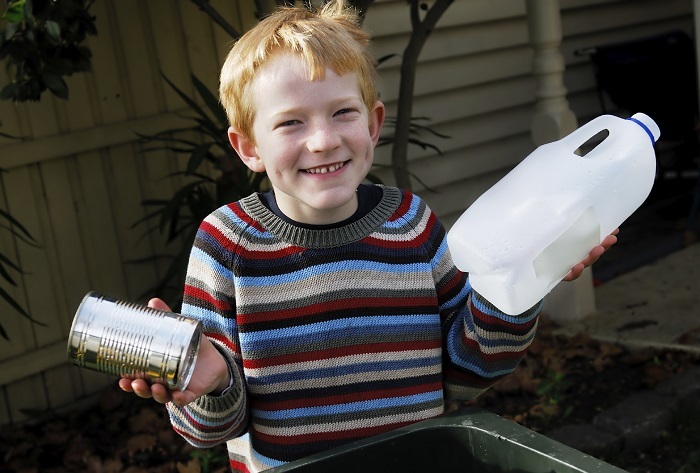 ECO SMART for Early Childhood – A sustainability filter for Quality Improvement Plans. Sydney, NSW: OEH ET & NSW ECEEN. NSW ECEEN (2015). ECO SMART for Early Childhood – A sustainability filter for Quality Improvement Plans Family Day Care revision. Sydney, NSW: OEH ET & NSW ECEEN. Young, T. & Elliott, S. (2014) Ways of thinking, acting and relating about sustainability. Deakin West, ACT: Early Childhood Australia. information about children’s current knowledge, interests, abilities and preferences. As children and their families begin their time at your service, or return after a break, it is vital to build their sense of belonging as part of this partnership and settling process. empowers families to participate in decision-making in relevant and meaningful ways. The key focus of Quality Area 6: Collaborative partnerships with families and communities is to engage families in the decisions that shape the program for their child and to share information about their child’s engagement and learning. Encouraging a family’s sense of belonging and inclusion at your service strengthens their understanding of the service philosophy in addition to how and why service policies and procedures operate. This is also a time to clarify everyone’s expectations by valuing each party’s expertise and building trusting relationships. Collaborative partnerships between families and educators are created through initial contact that is respectful and shows genuine interest in developing shared outcomes for children. Settling into a new service is aided by responsive educators who create a sense of belonging by supporting children to develop friendships and by an environment that is engaging and reflective of each child’s culture and identity. For babies and toddlers, this may be their first experience in an education and care service, so it is important to understand and recognise families’ perspectives. Initially, the focus is likely to be on routines, building confidence that their child is receiving individualised care and their learning and development is being supported. For preschool children, it may mean a change of rooms or new expectations in an older group, or a completely new education and care environment, so it is important to reflect on how families and children are supported through the orientation process. For school age children this could mean transitioning to after school hours care in addition to settling in at school. It is a time to reflect on supporting children’s wellbeing while still respecting their growing autonomy and agency. This could be a time for older children to support new children to settle into the service. This is a time to draw on children’s expertise and involve them in service decisions and planning. these? It may even change depending on the needs of each child and family.